del Lago Resort & Casino will partner with MacKenzie-Childs. Del Lago Resort & Casino furthers its mission to act as a gateway to the Finger Lakes region by announcing a partnership with MacKenzie-Childs. The iconic American luxury home furnishings company will open a 2,000-square-foot store, “Savor New York — MacKenzie-Childs at del Lago” inside the casino. The store will feature MacKenzie-Childs products all designed in Aurora, New York, overlooking Cayuga Lake in the heart of the Finger Lakes region. The store will also showcase a selection of special products produced by companies based in the Finger Lakes including local wineries, breweries, spirits and cheesemakers — celebrating the region’s many bounties. 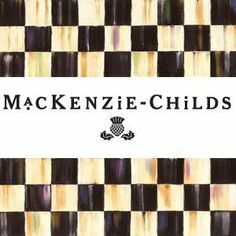 Since 1983, MacKenzie-Childs has made handcrafted ceramics, enamelware, glassware, furniture and home accessories — each piece a one-of-a-kind collectible. From plates to planters, teapots to tureens, MacKenzie-Childs designs are alive with individuality. The collection featured at del Lago will be curated especially for the resort and casino and will feature some of the best MacKenzie-Childs classic products, as well as new items. It will also include a special section of luxury home furnishing selections from MacKenzie-Childs’ sister brand, Jay Strongwater. “Savor New York — MacKenzie-Childs at del Lago” will open when the casino opens to the public in February 2017. The $440 million 205-room hotel, spa and casino will include a banquet facility, several restaurants, lounges, 2,500 person entertainment center and other world-class amenities. Del Lago Resort & Casino will feature Savor New York, a unique retail outlet where local vendors will bring the Finger Lakes region directly to del Lago patrons with a wide variety of local fruits, cheeses, baked goods, wines and beers, and other area specialties. The casino will feature 2,000 slot machines and 85 gaming tables, including 10 poker tables. Del Lago will create 1,800 construction jobs and 1,800 permanent jobs, and will generate more than $90 million annually for New York state and local governments. The resort and casino was awarded a New York State casino license in December 2015 and will open to the public in the first half of 2017. For more information, visit www.delLagoResort.com.